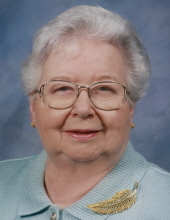 Kinston-Charlotte Sutton Jones, 87, passed away peacefully on Tuesday, January 22, 2019. Charlotte was born July 3, 1931, in Lenoir County to the late Alex Milton Sutton and Delilah Blanche Creech Sutton. Charlotte was also preceded in death by her husband, Floyd Barwick Jones, Jr.
Charlotte’s hands were an extension of her heart. Her love for others flowed through her fingers as she sewed her children, grandchildren, and great grandchildren’s clothes and created beautiful crafts and projects to help her community. She loved having her hands in the soil and found joy tending to her flower and vegetable gardens. During her 25 years of service to Kinston’s Caswell Center, Charlotte helped create the position of Adaptive Clothing Designer, where she developed specialized clothing when commercially available products weren’t suitable. Each of her designs was as unique as her clients, and to each project she applied her skill, creativity, and keen eye for fashion. Charlotte used her talents to minister to those around her. A gifted pianist, she blessed the congregations of Union Baptist in Moss Hill and First Baptist in Kinston, playing before and during services. Her friends and family looked forward to her birthday cards. She volunteered for Meals On Wheels, 4-H, and American Red Cross blood drives. Charlotte’s warm smile, the sparkle in her eyes, and her sweet spirit will be forever remembered and cherished by all who knew her. Charlotte is survived by three children, Virginia Ann Sutton and husband, David; Floyd Barwick Jones, III, and wife, Pat; and Carl Jones and friend, Kathy. She has five grandchildren, Robin Anders and husband, Will; Lauran Tyndall and husband, Perry; Adam Jones; Janna Byrd and husband, Justin; and Erin Williams and husband, Tyler. She has six great-grandchildren, Ollie, Charlie, Liddy, Emma, Truett, and Jentry. Family and friends will be received Friday evening, January 25, 2019, from 5-7 p.m. at Rouse Funeral Home, La Grange. A service to celebrate and remember her life will be held on Saturday, January 26, 2019, at 11 a.m. at First Baptist Church, Kinston. Interment will follow at Westview Cemetery. Online condolences may be expressed at www.rousefh.com. In lieu of flowers, memorials in Charlotte's memory may be made to First Baptist Church, 2600 Rouse Road, Kinston, NC 28504 or Kitty Askins Hospice Center, 107 Handley Park Court, Goldsboro, NC 27534. Arrangements are entrusted to Rouse Funeral Home in La Grange. To send flowers or a remembrance gift to the family of Charlotte Sutton Jones, please visit our Tribute Store. "Email Address" would like to share the life celebration of Charlotte Sutton Jones. Click on the "link" to go to share a favorite memory or leave a condolence message for the family.